We are pleased to announce that together with the Social Science Library, we have purchased access to the full archive of CQ Almanac Online from 1945-2015. 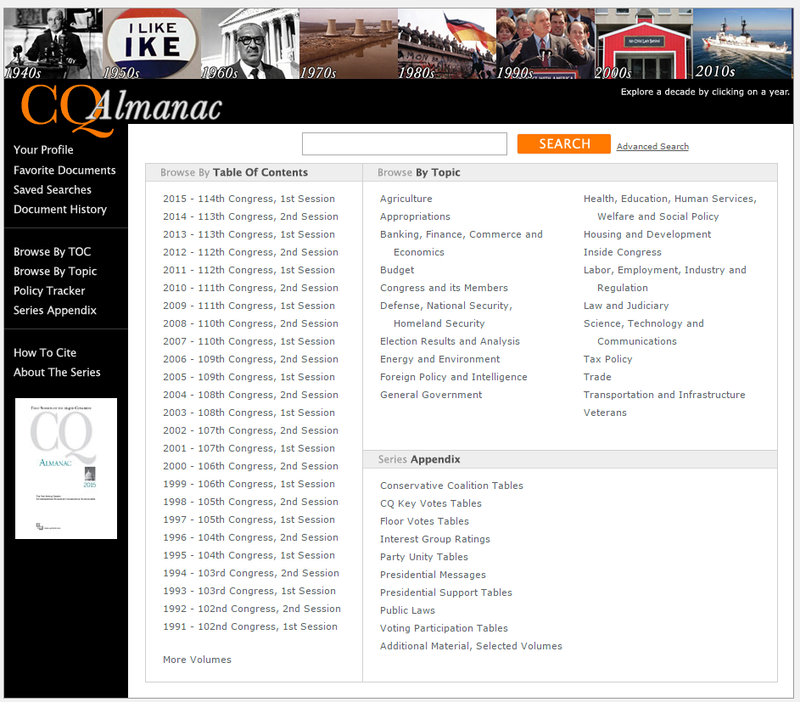 The CQ [Congressional Quarterly] Almanac is a key resource for anyone interested in the U.S legislative system. It offers original narrative accounts of every major piece of legislation that lawmakers considered during a congressional session. Arranged thematically, the CQ Almanac organises and cross-indexes the full year in Congress and in national politics. Access is now available via SOLO or OxLIP+. In Week 2 we are running the following iSkills courses. Please click on the course title to book your place. Research Skills Toolkit (Daily workshops 16th – 20th January) Week 1. These are 2-hour workshops to introduce key software and online tools for your research, hone your searching and information skills and introduce you to subject specialists. Topics on offer include: Finding articles, papers, conferences and theses; Keeping up to date and current awareness; Using Endnote to manage your references; Manipulating images using Gimp; Managing your thesis with word; Analyzising data with Excel pivot tables; Podcasting with Audacity; Plagiarism and how to avoid it; Your thesis, copyright and ORA; Finding highly cited journals and measuring research impact. Maths, Physical and Life Sciences. Go to http://ox.libguides.com/workshops/skills-toolkit for the full list of dates and to book online. There are many changes afoot in academic publishing. We therefore invite you to attend a series of short talks, panel discussions and opportunities for conversation around the subjects of open access publishing, peer review, publishing metrics, and the role and requirements of the University. Speakers and panel members will include Oxford academics, and representatives from PLoS, BioRxiv, the Wellcome Trust, F1000, eLife, Publons, Oxford University IT, Bodleian Libraries and Oxford University Press. The meeting will focus predominantly on biomedical sciences, but attendees from other disciplines are also welcome. Please go to Open Access Publishing event for further information and to book online. Weekly drop-in sessions to provide face-to-face support and answer all your queries on Open Access, Act on Acceptance and ORA. Weeks 1-8. About to start our fifth term, we are delighted to announce the Centre for Digital Scholarship’s headline talks and workshops for Hilary term. They are free to attend, but please register, via the link below, or at What’s On at the Bodleian to ensure a place. We have now switched over to using Diigo to save our list of links to useful free web resources rather than Delicious. You can now find the list at www.diigo.com/user/vhllib. The full archive of our links has been moved across there and new links will now be added to Diigo instead of Delicious. 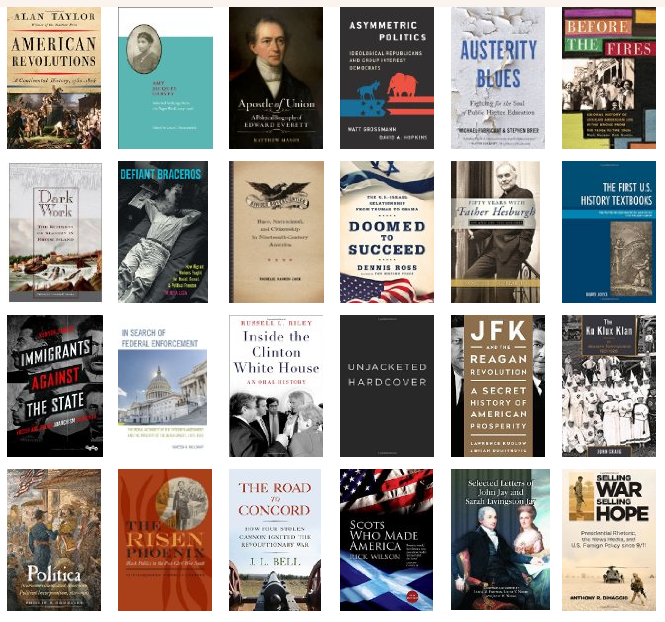 We have been saving links to free web resources for American history and politics since 2007 and have 400+ sites saved. 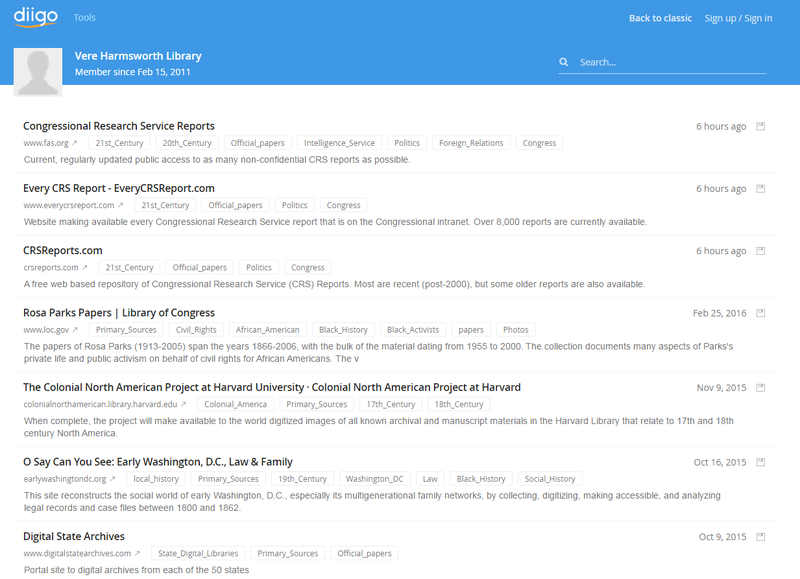 It is obviously not comprehensive but if you’re looking for sources that are freely available online you might find our list a good place to start. If you know of good websites that you think other researchers might find useful as well please do feel free to suggest them and we’ll add them to our list. Happy New Year! We are now open again after the Christmas break. Vacation hours apply this week (Monday-Friday 9am-7pm, closed Saturday). We will switch to term time hours on Monday 9th January (Monday-Friday 9am-7pm, Saturday 10am-4pm). This means that the first Saturday open of Hilary Term will be Saturday 14th.